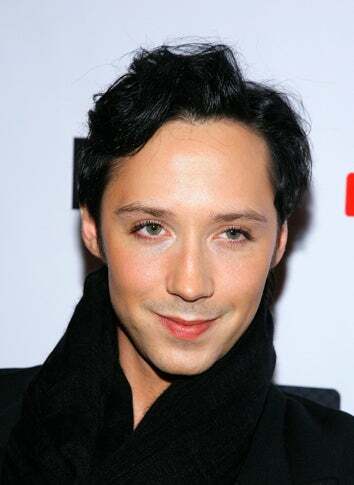 In Johnny Weir's soon-to-be-released autobiography, for the first time, he discusses the fact that he is gay. All the gay websites couldn't figure out why I was such a jerk that I wouldn't talk about it… But pressure is the last thing that would make me want to 'join' a community… The massive backlash against me in the gay media and community only made me dig my 'closeted' heels in further. It's an interesting dilemma, pitting the personal against the political. By refusing to say you are gay, are you insinuating that being gay is a terrible thing to reveal? Or is it admirable to put your foot down and declare that who you find attractive is no one's business but your own? With Johnny Weir, couldn't it be argued that there was never any doubt? A glass closet situation? And therefore unnecessary to discuss? Watching Richard Gere in Pretty Woman at the tender age of six was when I had first realized there was something different about me. I wanted to be Julia Roberts so badly. Kissing seemed like a weird thing to do, but I knew if I was going to do it, it would be with Richard Gere.